Commentary: Wisconsin photo ID: Fraud prevention or vote suppression? Voter ID or Voter Suppression? Voter ID Legislation: Fraud Prevention or Voter Suppression? FRAUD PREVENTION OR VOTER SUPPRESSION? Most Restrictive and Burdensome Voter ID Measure in Nation. Senate Bill 6 -- legislation that would completely transform Wisconsin from one of the easiest states in the country in which to cast a ballot to one of the most difficult -- is apparently on a “fast track” toward consideration and passage in the Wisconsin Legislature and enactment into law. Lawmakers ought to take a “deep breath” and very carefully consider the implications and ramifications of requiring all voters to show a state-issued photo identification card at the polls before they can cast their ballot. Senate Bill 6 ought to be sidetracked and examined carefully before Wisconsin adopts a law that many of its citizens will grow to greatly resent and regret. Proponents of Senate Bill 6 have stated repeatedly that the objective of this measure is to prevent voter fraud -- and to stop citizens from voting who are not who they say they are or who have lost the right to vote. They continually deny that their goal is to depress voter turnout or to make it more burdensome or difficult for Wisconsin citizens who are eligible to vote, to be able to do so. But Senate Bill 6 is, undeniably, onerous and burdensome and would most certainly have the effect of decreasing voter turnout and participation in Wisconsin – which currently and historically has been among those states with the highest voter turnout and participation in the nation. According to the National Council of State Legislatures, 27 states currently require some form of voter identification at the polling place. Of these, 19 states require any of a variety of different forms of identification but not a photo. In only eight states is a photo ID currently required. In no state is a voter who cannot produce identification turned away from the polls—there is some sort of recourse for voters without ID to be able to vote. But in those eight states that require a photo ID in only two – Indiana and Georgia -- require voters to cast a provisional ballot and then forces them to return and produce for election officials an ID within a day or so in order for their vote to count. This is what Senate Bill 6 would require as well but goes beyond Indiana and Georgia because only a photo ID is accepted in Wisconsin. So Wisconsin would surpass Georgia and Indiana as the most restrictive state in the nation in which to cast a vote with regard to identification. Why is it necessary to adopt such a burdensome and draconian voter identification method? There is no reason unless it is to deliberately reduce the number of Wisconsin citizens who can and will vote. Why not accept any number of other forms of identification to protect against voter fraud? Alabama, for example requires any of these forms of ID to cast a ballot: government issued-photo ID, Employee ID with photo, Alabama college/university ID with photo, utility bill, bank statement, government check, or paycheck, ID card issued by any state or the U.S. government, U.S. passport, Alabama hunting or fishing permit or gun permit, FAA-issued pilot’s license, U.S. military ID, certified Birth certificate, social security card, Naturalization document, Court record of adoption, Court record of name change, Medicaid or Medicare card, electronic benefit transfer card, Government documents showing name and address of voter. Senate Bill 6 stipulates that the only forms of identification that can be utilized to vote are a drivers license (with a photo) or a photo ID issued by the Department of Motor Vehicles which is free – but only if you request that it be free! So it will be far more difficult to vote in Wisconsin than it is in Alabama--or in any other state. Is that really what Wisconsinites want? Then there is the question of the cost of implementing Senate Bill 6. 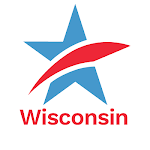 The Wisconsin Fiscal Bureau has estimated a cost of approximately $2.5 million for the state-issued photo ID’s and that cost apparently does not include additional hours and personnel that might be required by the Department of Transportation to implement the photo ID process. Is this how Wisconsin taxpayers want their hard-earned money spent at a time when we face unprecedented state budget deficits and looming cuts in far more needed state services than state issued photo ID cards? The additional cost to the taxpayers of Alabama for required forms of ID to vote there is nothing. Why do proponents of Senate Bill 6 insist on gouging Wisconsin taxpayers unnecessarily? To depress voter turnout? If not, why not follow Alabama’s example, instead of making Wisconsin more restrictive than Georgia and Indiana? Some states, such as Pennsylvania and Massachusetts, prevent voter “fraud” by matching the signature of a voter at the polls to the signature on their voter registration card. At virtually no cost to taxpayers and no burden to the voter. Why couldn’t Wisconsin have gone that route if the "real" concern is fraud? The objective of the proponents of Senate Bill 6 is clearly to go beyond preventing “fraud.” It is really to make it more difficult for elderly, urban, non-driver and student voters to cast their votes and to depress voter turnout. And, to unnecessarily spend millions of dollars of scarce taxpayer money in the process. They could at least be honest about their intentions rather than continue to try to mislead the public. On Tuesday afternoon, the Assembly Organization Committee met for first time in the new 2011 legislative session. Their first order of business? Not jobs. Not economic development. Not education or taxes. The first order of business of the committee -- which consists of 4 Republicans and 3 Democrats and includes new G.O.P Speaker Jeff Fitzgerald (R-Horicon), Assembly Majority Leader Scott Suder (R-Abbottsford) and Assembly Minority Leader Peter Barca (D-Kenosha) -- was to authorize the hiring of a big Madison law firm (Michael, Best & Friederich) to work on redistricting for the Republicans at taxpayer expense. This is the same law firm that then-Republican Assembly Speaker Scott Jensen hired ten years ago to redraw district boundaries to create fewer competitive state legislative districts (and more safe Republican seats). Jensen and then-Democratic State Senate Majority Leader Chuck Chvala (who hired a different high-priced Madison law firm to do the same thing) soaked taxpayers for more than $2.5 million in legal fees to protect and enhance their own narrow, partisan interests in the 2001 redistricting process. Is Speaker Fitzgerald intent on doing the same? What happened to fiscal restraint and financial responsibility to the taxpayers of Wisconsin? There is a far better, fairer, less partisan and far less expensive way to do redistricting. Since 1980, our neighbor Iowa has had redistricting done by their non-partisan Legislative Service Agency. The cost to taxpayers? Aside from the salaries paid to the state employees charged with this responsibility - almost nothing. And the results there have been 1,000 percent preferable and fairer than have the very partisan redistricting plans, produced by partisan lawyers in the big law firms who charge premium rates ($300 an hour and up) paid to them with hard-earned taxpayer dollars -- without the consent or knowledge of the citizens of Wisconsin. Will Speaker Fitzgerald at least cap the legal fees paid to Michael, Best & Friederich? Will the hourly rates be reduced? Will there be legal representation for the Democrats? How much will that cost taxpayers? Will there be complete disclosure of the redistricting work done and the charges to Wisconsin taxpayers? Will the State Senate do the same thing? Will the new legislative leaders come to their senses and turn to a non-partisan and much less expensive entity to do this work and concentrate on jobs and the economy as they promised voters they would do? The Government Accountability Board or the Legislative Reference Bureau, with a little training from their experienced counterparts in Iowa, could do the the job. And with much greater public confidence in their work and at a fraction of the cost. Inquiring minds want to know. Answers, please! Thirty years ago there was no Facebook, Twitter, internet. Blogs and bloggers and blogging were not even words. There was, however, a communication system for elected officials. It was run by journalists who were more ubiquitous than beloved. Most of them worked for newspapers. Two Wisconsin papers were distributed statewide. No other medium made any claim or serious effort except public broadcasting to go beyond its own local or regional markets and audiences. The Madison papers, for example, have always behaved as if the Columbia County line just above the city of Portage was the northernmost boundary of Wisconsin. A governor who wanted to communicate with his entire constituency had only to open the doors to his office and spout. He had the bully pulpit. The pews were full--of reporters. Those pews are much less full now. There are no statewide newspapers. The only reporters trying to reach a statewide audience work for the Associated Press and public radio. The former deliver news to their local and regional client papers and broadcasters and are in the position of a teacher who sends notes home with third-grade students. Delivery to the intended audience is somewhere south of sporadic. This nice, orderly, controlled system where news was reported, validated, and made available to anyone who was interested in anything or everything going on in the state capital and had the price of a subscription is mostly gone. Today there are many, many communications systems. Websites, blogs, social networks are sending mostly opinions out in firehose quantities. The illusion is that this is some kind of communicators’ heaven. On closer examination it’s more of a nightmare. Putting aside the fact that a significant part of the population does not have the devices needed to access any of these new channels of communications, there is no assurance that those who are connected to the internet are consuming what the public officials are delivering. News consumption was always voluntary. But the delivery system, while short of being universal, probably got to everyone who really wanted to know and delivered a glancing blow of information to the rest, which was better than nothing. If you regard the broad news distribution of 30 years ago as a pasture, then the new user driven media is a series of silos. The governor who got the attention of all the creatures in the pasture now has to go to all the silos in hopes of being admitted. The silos which used to be geographically challenging are now also subject challenging. How many hits is the “governor’s office” website, Facebook page, Twitter feed likely to get? Not as many as those about the Green Bay Packers or any other run-of-the-mill celebrity in any field of choice. Not even as many as the “talk radio” entertainers who clutter the public airwaves. The other problem with the silo system is the silos are filled more with opinions than with the kinds of facts that we call news when they are reported by journalists. At a cosmic level we seem to have gone from a system where there were too many reporters chasing too few stories and their sources to a world where there are too many stories not being reported because there are two few reporters chasing them. All this technology is a gift to all of us blabbermouths looking for an audience and for ways to be heard. Not so much for leaders who are trying to explain to their followers what they are doing and why and why, particularly, it is good for the followers. What the leaders seem to be left with is a bully pulpit facing empty pews. Not so bully after all.